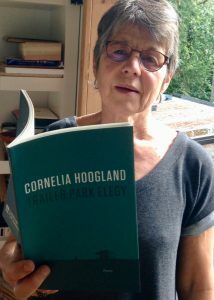 British Columbia poet Cornelia Hoogland is the author of seven books, including Woods Wolf Girl (Wolsak and Wynn, 2011) which was a finalist for the ReLit Award for Poetry. 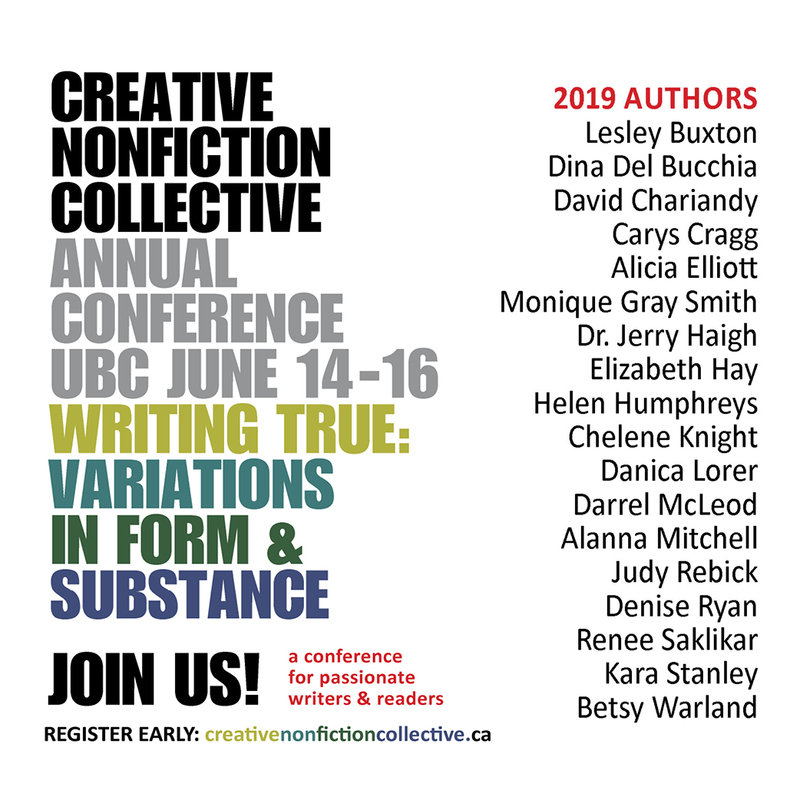 Her story “Sea Level” was shortlisted for the 2012 CBC Creative Nonfiction Prize. Hoogland serves on national and international literary boards, and was the founder and artistic director of Poetry London and, most recently, of Poetry* Hornby Island, on the BC Gulf Island she calls home. 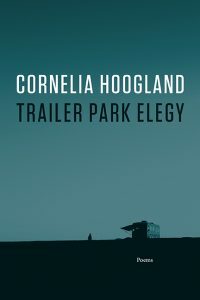 Trailer Park Elegy is her seventh book and third book-length poem. It tackles a broad range of subjects such as the environment, displacement and the human spirit, as well as acting as catharsis and eulogy for the poet’s own brother’s sudden death five years ago. NGM: Can you talk about when you discovered you were writing a long poem? There is a hint in your acknowledgement that it might not have always been the case. NGM: Your brother passed away five years ago. How have the past five years shaped this book and what have you learned about yourself and your brother in this time? CH: In a nutshell: his humour and my anxiety around his humour. Since we were children my brother used the wise-crack, the off-hand comment, the throw-away line, to subvert the dominant authority of our home. In writing the book I realized my anxieties as his older sister, my fear of the looming punishment for his cheeky talking back. Obedience was not his strong suit; it was mine. We both suffered, we all suffered. Ours was an immigrant home; there was hardship, there was poverty. I also learned the strength of the sibling bond, as John Barton so beautifully addresses in the blurb at the back of the book. Since William’s death, my two siblings and I have talked in unprecedented ways. We greatly miss our brother’s contribution to our reviews of the past. His absence swells the room. I’m also grateful to Anne Simpson for asking me if my brother spoke in the long poem, if he had a voice. He did! When she asked, I immediately remembered (heard) his shout, from twenty years ago, through the phone, “I never know what city you’re in./Never know where you are. Where are you?” Those words opened a gaping hole––my absence in his life, especially when he was a single parent. This memory forced me to remove any sense of myself as the benefic artist with her great wisdom and snappy imagery to make room on the page for my own failings. Humbling. I learned about the bleak humour we shared in the time we were both alive. Not just personal, but the black humour of the 4% universe. Writing this long poem offered me the imponderables of time and space in (or through) which to carry my human grievance. Since King Lear, the conceit of grieving persons is that the universe can’t not be aware of their loss. In Trailer Park Elegy it’s already bad that most of the known universe doesn’t feel the loss of my brother; worse is the startling fact that the known universe is but 4% of matter. There’s another 96%––dark, unknown––out there. And still William came through––Just Breathe by Pearl Jam––in the operating room during my recent knee surgery. Huh, I thought to myself, You? Here? and laughed. The moment was spot on. NGM: Who are some of your favourite poets who delve into the long form? CH: bp nicol’s The Martyology as a revelation of his thinking; I read by following his voice rather than decoding his meaning. Daphne Marlatt’s Steveston (one of the first times I read about a place I knew, or thought I knew), also her Ana Historic, Robert Kroetsch’s Completed Field Notes (especially Seed Catalogue), Eliot’s The Four Quartets, Pound’s (incomprehensible to me) Cantos, William Carlos William’s Paterson, Alice Oswald’s Dart, all shaped my ideas of the long poem. (Thanks to John Cooper, who then, at Mt. Royal College in Calgary, Alberta, taught the long poem form to us, his students). Recently, while reviewing Patrick Friesen’s Short History of Crazy Bone, I organized and presented a panel for the League of Canadian Poets and the Writers Union combined AGM in May, 2015, in Winnipeg, Manitoba. The other panelists were Kate Braid and Sharon Thesen (see “The Long Poem and the Shape of the Working Mind” in The Long Poem Symposium, and more recently, my article in St@nza, “Killing Myself Laughing in the Elegiac Long Poem.”) But my attempts to write book-length poems (Cuba Journal, 2003, and Woods Wolf Girl, 2011), were in part influenced by the CBC annual call for a long-ish poem. 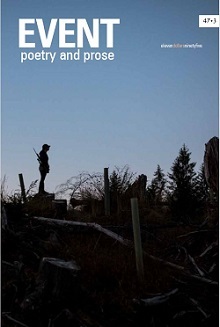 I notice longer sequences in many––in 2013, when I judged a national competition, in most––poetry books I read; interesting to consider the CBC’s unwittingly role in shaping Canadian poetry. An excellent example is Sediqa de Meijer’s Great Aunt, Unmarried later collected in Leaving Howe Island, 2013. But since the publication of Meadowlands, 1997, one of my favourite poets is Louise Glück (see above articles). Against a historical horizon she uses deferral and doubt to convey the duration of lived experience, and so resists poetry’s now mainstream culture of instantaneous, perpetually unsettling, effects. Glück’s startling shifts in point of view; her theatrical, performative narrators; her leaps from the intimately personal to the global; give her readers thrilling access to her powerful imagination, and enables their participation in her questioning, revising, interrupting, playful, recursive, funny, mind at work unfolding its dramas as one reads. Well, there’s nothing like it. NGM: This must have been a hard book to complete, for perhaps you felt you were saying goodbye again to your brother. Can you share any feelings about this process? CH: Astute of you, Nathaniel, to focus on completing versus writing the book. Both were difficult but the completion especially so. Like the grieving process, I unconsciously didn’t want to stop writing, with its concomitant thinking, as a way of keeping William alive. 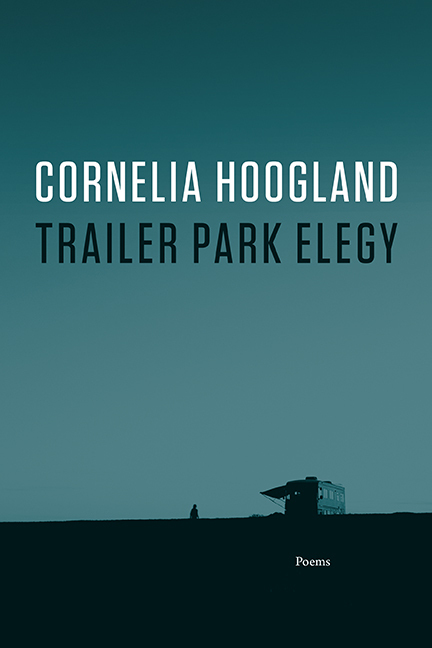 Rachel Blau DuPlessis confirms this heuristic device, saying that “the interesting thing about the writing of a long poem is that it has a private temporality of doubling one’s life.” Trailer Park Elegy juggles competing interests and subjects that are, in the end, informed by its underlying goodbye to my brother. Grief is like that; you go about your day, you’re still headed toward night, but from a new angle, an underlying, sometimes swamping, perspective. Probably from childhood on we know that life isn’t fair, but as adults we can’t afford to act like that; we buffer ourselves with religion or theory or art, we cobble together patterns that give us meaning. Nietzsche said the values supported by art are necessary to support our lives. My brother’s death was stunning; it snatched from under us the comfort of living in the world with rational explanations, with because in it. Grief is an imbalanced world stripped of fair play or even justice, or the apportioning of fate according to virtue or deserved distributions. A trailer park in winter. Nathaniel G. Moore lives in Fredericton, NB.